Get the perfect amount of style and comfort easily with the SKECHERS Cali Passenger - Quatre sandal. 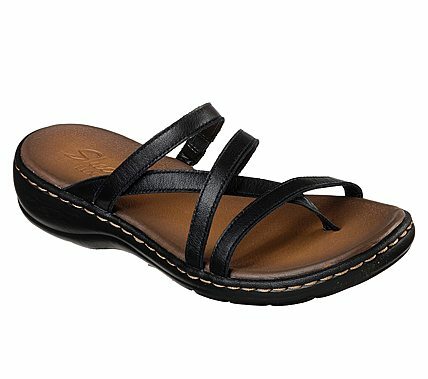 Smooth matte or metallic finish leather upper in a strappy casual comfort toe ring slide sandal with stitching detail. Skechers Luxe Foam footbed.